Limits: Please see Migratory Bird Regulations for any game zones restrictions or Limitations. 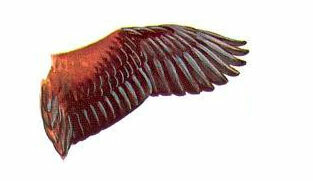 The fulvous whistling-duck is of medium size with a long neck and legs. Their head, neck, and chest are a buffy cinnamon color and their bill is gray. Both sexes look alike. Whistling-ducks are not actually puddle ducks, but tree ducks. 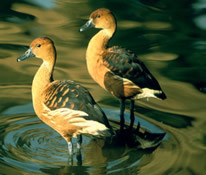 Whistling-ducks have an average length of 18-19 inches and an average weight of 1 3/4 pounds. While these ducks are one of the most widespread in the world, they have a limited distribution in the U.S. They can be found along the coast of Texas, Louisiana, and Mississippi during the summer months, and at the bottom of the Florida panhandle all year long. These ducks are extremely rare visitors to South Carolina, as they are prone to erratic movements after the nesting season. In the U.S. these ducks are found in freshwater wetlands, mainly shallow impoundments and flooded grasslands. On a lesser extent they are found in marshlands with large amounts of floating emergent vegetation. Their diet is dominated by moist-soil and aquatic plant seeds, rice seed, and aquatic invertebrates. 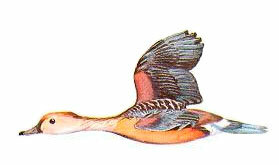 Fulvous whistling-ducks nest in dense floating or flooded emergent vegetation, preferring rice fields when available. The nest starts out as a weak platform of bent-over vegetation upon laying but a nest cup becomes evident after 3 to 4 days. The female lays an average of 14 creamy colored eggs. Does not perch like the black-bellied whistling duck. No evidence of territoriality during the breeding season, but may defend the nest site. Can be found in small flocks outside the breeding season. South Carolina waterfowl hunters 16 and older are required by state law to obtain a state migratory waterfowl permit and Migratory Game Bird permit. Both permits must be in the hunter's possession while hunting or transporting legal waterfowl. A state waterfowl permit is included with the Lifetime Senior, Lifetime Gratis and Disability Licenses. S.C. residents who hold a Lifetime Senior or Lifetime Gratis License are not required to have a Migratory Game Bird permit. The waterfowl permits and HIP permits are available from select DNR offices and from hunting and fishing license agents.